If you consider yourself to be quite the hiking aficionado, then at some point you might have done or considered doing a thru-hike. So what exactly is a thru-hike? Basically, it’s a long-distance hike in a trail from end to end and takes place within one season. Of course, you can’t talk about thru-hikes without mentioning one of America’s legendary trails: the Appalachian Trail (A.T.). For many hikers, the Appalachian Trail is the holy grail of hiking. If you think that hiking this legendary trail will be just like your previous hikes, then you’re in for a rude awakening. Hiking this trail to completion will take you several months, and you can bet that it’s not just about the time commitment. In this post, we will help you prepare and offer tips on how to hike the Appalachian Trail. So how well do you know about this legendary trail? If you are even thinking of braving the Appalachian Trail, it only goes without saying that you should inform yourself about it. 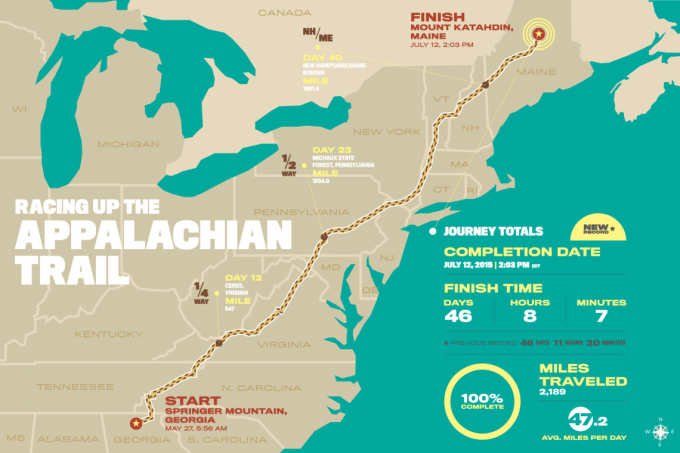 2,200 – this is the number of miles that covers the approximate length of the Appalachian Trail. We say approximate because the distance actually changes from year to year due to factors like trail modifications. The entire trail will more or less require you to take about 5,000,000 steps. If you can beat the trail, then your step tracker becomes an instant bragging rights tool. 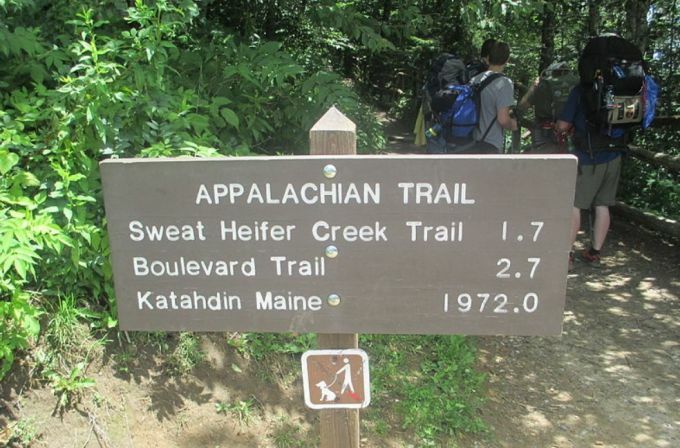 14 – the Appalachian Trail is so vast that it crosses 14 states from south to north and these are Georgia, North Carolina, Tennessee, Virginia, West Virginia, Maryland, Pennsylvania, New Jersey, New York, Connecticut, Massachusetts, Vermont, New Hampshire, and Maine. 165 – an average person will take 165 days to complete a thru hike. The current speed world record clocks in at 46 and a half days but most people can complete it within 5 to 7 months. However, that only applies to those who have completed it, not those who have quit mid-trail. 6,643 – the Appalachian Trail features some elevated areas and the highest one is found at the Clingmans Dome located in the Great Smoky Mountains National Park which is at 6,643 ft.
5,500 – for a typical day of backpacking in the Appalachian Trail, an average person needs about 5,500 of calories to meet his or her daily caloric needs. This means that even if you gobble up 11 Big Macs within the day, you will still have caloric deficiency. This shows that this thru-hike will not fall short in terms of intensity. It’s all about the average dollar spent while going through the trail. In estimate, hikers spent about 2 to 3 dollars per mile which results in an average range of $4,400 to $6,600. Most of the money spent goes to food, transportation, laundry, gear upgrades and purchases, lodging and so on. 4 to 5 – regardless of how good your pair of hiking shoes is, it’ll eventually give way to the toughness of the trail. Most thru-hikers go through 4 to 5 pair of hiking shoes. If you manage to get 500 miles out of your pair, that would be considered good. Those who practice proper footwear maintenance and care can stretch this even further. 78 – this is the percent of the increase in those interested in taking the hike. Over the years, the Appalachian Trail as well as hiking in general have skyrocketed in terms of popularity. While the trail is sure to be tough, you can take comfort in the fact that many people have managed to complete it. As you can see, taking on the Appalachian Trail will be leaps and bounds tougher and more grueling than your traditional hike. If you wish to succeed with this thru-hike, it’s best that you know the nature of the beast and go through proper planning and preparation. And that’s exactly what we’re going to discuss in the next section. Thru-hiking, one of America’s legendary trails, is a behemoth of an undertaking and will require an enormous amount of preparation. 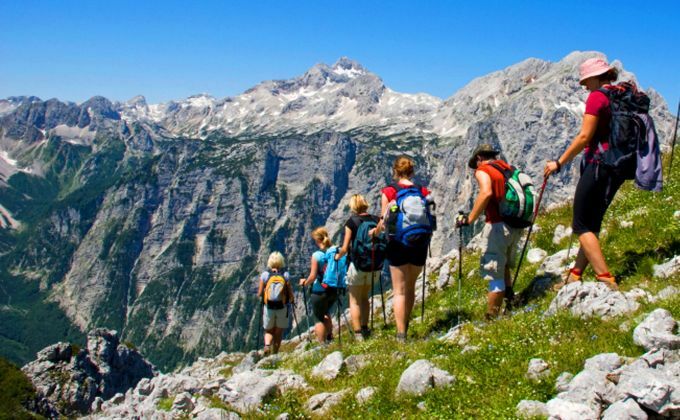 Successful trekking means that you will not just prepare your gear but your body and mind as well. These tips below will allow you to physically, mentally and materially prepare for your much-coveted Appalachian Trail hike. But first, checkout this video for some additional input. Hiking the Appalachian means you will be up against enormous challenges. Essentially, we have broken them down into three main challenges: the mental, physical and financial challenges. Remind yourself – if it’s a bad day on the trail (there will be many of these) and you’re feeling like you want to quit, remind yourself why you are doing this in the first place. Going through this grueling trail is not just about testing yourself but for soul searching as well. Always be ready to remind yourself that you are doing this for a reason. Do solo hikes – as a rule of thumb, it’s always best to hike with a group, even more so if you’re going to tackle the Appalachian Trail. However, if you insist to go alone then you must do solo trips first. This is so you can overcome the anxiety of being utterly alone and turn it into the joy of being utterly free. Focus on advanced goals – don’t think of conquering the trail as one big objective but instead you should treat it as a group of doable milestones. Each time you hit a peak or an iconic landmark, you can check them off as achievements. This will fuel your sense of accomplishment and put your motivation level at an all-time high. Be spontaneous – don’t make it that your regular day is simply comprised of getting from point A to point B, then resting. This is still hiking which means that you might come across some fun and unexpected adventures. In that case, don’t pass up for such opportunities. Have realistic expectations – it’s easy to romanticize the idea of hiking the Appalachian trail at the comfort of your couch. However, many people find out the hard way. It will take many months of hiking and will require absolute hard work. It won’t be always exciting and the surroundings will not always take your breath away. You can trust that in the end, it will all be intensely rewarding but expect that it will be anything but easy. Of course, you will face challenges of the physical kind once you take on the Appalachian Trail – probably the hardest ones you’ll face. Aside from the grueling hike, expect to come across physical challenges from major injuries to altitude sickness. This goes without saying that you need to prepare for them if you hope to overcome them. Train, train and train – you need to be physically fit before you can even think of doing this thru-hike. The physical preparation will vary from one person to the next due to factors like age, health and current fitness level. Do aerobic or resistance training in order to build confidence and momentum for your trip. A good rule of thumb for those who are planning to go the distance is to prepare sufficiently for 6 months. Go on a lot of trips – on top of training for your hike, go on a lot of backpacking and hiking trips. Your usual hiking locations may not truly prepare you for the real thing but you can toughen up your body and strengthen your feet. Take a first-aid course – many people tend to overlook this matter but you can’t really afford to do so. Make sure that you take and complete a first-aid course, especially if you’re frequently braving the wilderness. As it turns out, tackling this legendary trail is not exactly cheap. There’s also this matter that you will be off work and won’t earn a dime for half a year. You will need money when going to stops for necessities like food, showers and the occasional cold beer or bed. If you are not careful, these necessities and amenities can eat quickly at your budget. So it’s only reasonable to expect that you need budget properly for this adventure. Another source of major expense is your gear. If you wish to make the most out of your trip, you should invest in gear that will get you through the entire trail, which can be quite expensive. Fortunately, there are many quality hiking gear and clothing that won’t break the bank. However, a good deal of research will be required on your part. You can also check out our review of the top cold weather gear for hiking to learn more. Pack light – and we’re talking about as lightest as you can. This is not really your daddy’s hiking trip, so you will need all the weight savings that you can get. The less weight you have on your backpack, the less burden it will be for you which means less fatigue. This is not about going so lightweight that you will start leaving important things behind, this is about carefully considering what’s important. Build a backpacking gear checklist and evaluate the things that you’ll need to bring. Make sure you have the sturdiest backpack. Read our review of the best Osprey backpack to give you more options. Get a support person – at some point in your thru-hike, you will likely get lonely or just plain bored. In that case, you will need a support person that will get you back on track. It could be a physical support like sending you a new pair of hiking shoes once your current one is broken down. Or, it could be a mental support that will give back your confidence and motivation to reach the finish line. Prepare “bump” boxes – basically, these are packages that you can send yourself in towns or stops that you will pass through during the hike. Bump boxes can contain necessities that you need to replenish like a fresh set of clothes, gear upgrades or restocks or just about anything that will help you go the distance. Just be careful not to overdo it. Prioritize your thru-hike – prior to the trip, you have set things so you can focus on the thru-hike. It’s either you give full commitment to the hike or walk away. Life will certainly get in the way while you’re trying to beat the Appalachian Trail, even more so if you don’t make it your priority. Understand that you need 100% commitment and there will be major sacrifices. Listen to your body – it’s important that you pace yourself at the beginning of the trail. This is to build up the strength of your legs and only then that you can up your daily mileage. There are many times that your body will tell you to go rest or slow down and if that happens, listen to it. Not only will it keep injuries at bay but mental fatigue as well. Pushing through the pain is an inevitable part of the thru-hike. However, pushing too hard can usher in the end of your trek. Do find out how satellite phones can help in keeping you safe on the trail. You can check this video for more tips. With this beginner’s guide to hiking the Appalachian Trail, you should be ready to take on the preparation phase and eventually get out there and hike. Again, this will be a grueling experience that will push you beyond your absolute limits. Success is all about the right amount of preparation. You will make several blunders along the way and your entire body will be hurting like hell, but you can trust that reaching the finish line will be intensely rewarding. Before you go on your next adventure, do check out our review of the top Appalachian Trail Apps to guide you on your way. Do you have any plans to hike the Appalachian Trail sooner or later? What are your preparations? Share us your thoughts in the comment section! Jerry ‘Boy Scout’ Mueller spends 99% of his time camping or teaching others how to live in the wild. He became an Eagle Scout which is the highest rank attainable in the Boy Scouting division when he was 17 and after that he still lives the scout life. Jerry always plans neatly every trip, takes leadership very seriously and if you listen to his tips and stories, you can learn tons of useful things. Primaloft vs Down: What’s Your Best Bet? Best 3 in 1 Jacket: Choosing Your Classy Cold Clothing! Copyright © My Outdoors Life. All rights reserved. Reproduction of any portion of this website only at the permission of My Outdoors Life.